The idea of creation appeared a long time ago. We always travelled a lot and noticed that air condition is very different everywhere. In some cities it was obvious that the air was polluted, but we had no tools to really measure the air quality, so we had no idea what’s in the air could affect our health. 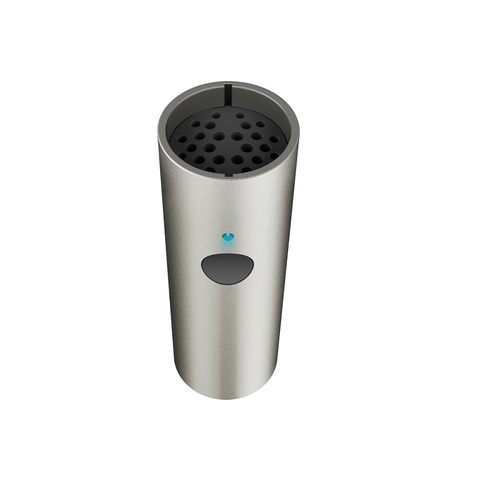 We began to study how pollution affects human health and what chemical substances make the air noxious which made us even more convinced of the need for such a device. Everyday we unconsciously take more than 20,000 breaths. And unless we have a problem, we don’t think about what we’re breathing in. But the fact is the exposure to CO2 and VOCs has been linked to an increased risk of different serious diseases, including even cancer. Your actual risk of adverse effects depends on your current health status, the pollutant type and concentration, and the length of your exposure to the polluted air. 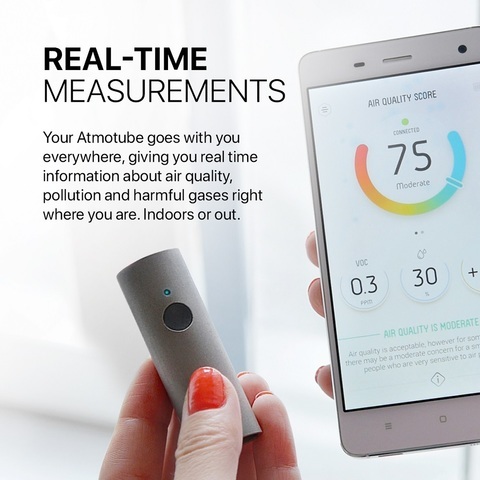 That’s why the ability of detecting air quality outdoor and indoor is so important. First of all, we started to consider the idea of a unique ergonomic design. Our goal was to create a form suitable to everybody, portable and stylish, so you could always take it with you. All this had to be combined with high-tech components inside the product. After long research and testing we’ve made first working prototypes, we’ve made compact and beautiful tube-shaped metal shell with titanium coating for extra durability. Next step was to create a convenient mobile app with which the Atmotube would display real time air quality. During the testing, the main shortcomings of the device and the app were identified and fixed. The list of VOCs that Atmotube must detect has included: CO2, Formaldehyde, Benzene, D-Limonene, a-Pinene, Acetaldehyde, Hexanal, Ethylene glycol, Acetone, ProBold (Ctrl+B)pane, Toluene, Methylene, chloride, 1,3-butadiene, Vinyl acetate, Acetylene dichloride, Xylene, Acryloyl chloride, Methyl chloroform and VOCs in smoke. 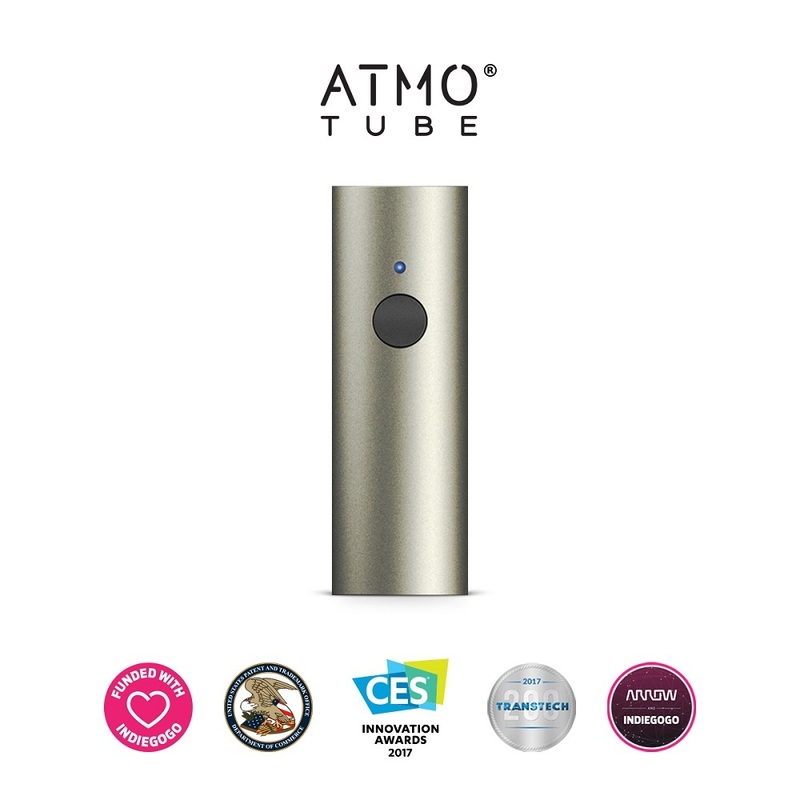 Atmotube uses the best sensors, including a unique multi-gas sensor with ultra-low power consumption, high sensitivity and fast heating times. Advanced algorithms enable support for gas discrimination, temperature & humidity drift compensation, and self-calibration. It can be used as a CO2 equivalent sensor to represent CO2 levels in real world environments, where the main cause of VOCs is from humans.